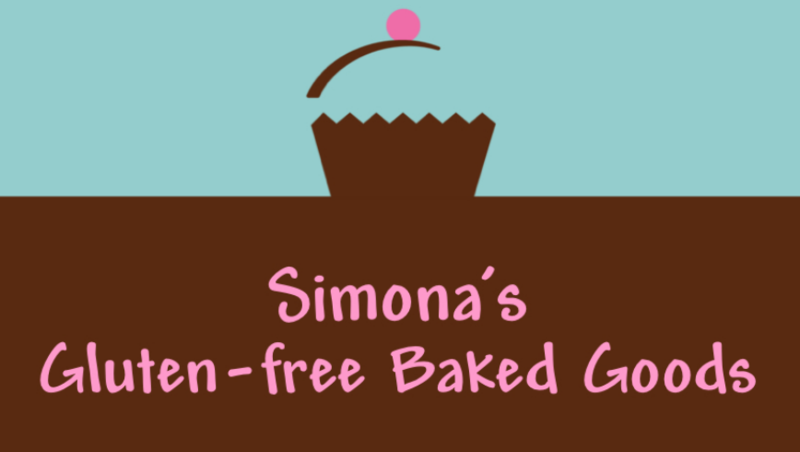 It is with regret that I need to inform you that Simona’s Gluten-free Baked Goods closed its doors at the end of November 2013. It has been a wonderful experience and I want to thank each, and every one of you for your support and your kind words. You made this endeavor of mine a great success: from the small coffee house, to the big supermarket chain; from the 2 year old to the 82 year old, all of you have contributed to the growth of this business. We shared stories, you made me part of your celebrations, from birthday to wedding, to retirement parties. And I will always be grateful. At the beginning of this adventure someone told me: I hope you are ready to be successful… I thought, though, that it would take me longer to get there, and that I would still have time for my growing family. I was wrong. And at this point my family needs my presence more than I have been able to give in these past two years. For a moment I hoped that some other “crazy” person would be willing to take over this jewel of mine, and continue to serve you all. But it didn’t work out, so now I need to end my operations. I will have dinner with my family, help my kids with their homework, and spend the Holidays with them. 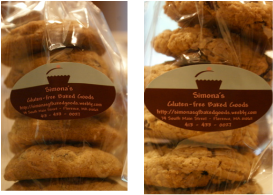 But I will miss my baking, your kind words, your generous outpour of compliments, and, undoubtedly, I will miss bringing more flavor into your life. SELECTIONS OF MY PRODUCTS ARE STILL AVAILABLE: IN NORTHAMPTON AT RIVER VALLEY MARKET AND STATE STREET FRUIT STORE; IN FLORENCE AT COOPER'S CORNER; IN HADLEY AT HILLSIDE PIZZA, IN EASTHAMPTON AT BIG E'S SUPERMARKET; IN EAST LONGMEADOW AT THE REDSTONE CREAMERY; IN LUDLOW AT RANDALL'S FARM; IN AMHERST AT ATKINS FARM; IN HAYDENVILLE AT THE ELBOW ROOM CAFE'; AND IN SPRINGFIELD AT FRESH ACRES MARKET! Vanilla and chocolate cupcakes are frosted with your choice of buttercream: vanilla, chocolate, mocha, caramel espresso, brown sugar, lemon, coconut, white chocolate, and raspberry. And for your celebrations, we have chocolate and vanilla layered cakes, with buttercream of your choice. Please call or email me for cake prices.